In November, Alaskans will decide whether the state will become the third in the nation to legalize the recreational use of marijuana. It's controversial in that the drug is still illegal at the federal level, but also because it will essentially create a new industry -- or at least a newly legitimate industry -- in the state. What's this measure all about? Hasn't this been considered in Alaska before? Kind of. In 1998, 69 percent of voters agreed to legalize marijuana for medical use, but the initiative did not go as far as setting up methods for acquiring the plant (such as establishing dispensaries). In 2000, voters took another crack at legalization with Measure 5, which would have regulated the drug like alcohol and allowed residents over 18 to farm and possess their own supply. It would have granted amnesty to those serving time for marijuana offenses, purged the criminal records for many others and created an advisory group to study possible restitution. Ultimately, it failed to gain enough support, and was voted down 59.1 percent to 40.9 percent. It even came up again in 2004, also as Ballot Measure 2, asking voters to consider regulating the substance like alcohol. The pro-legalization campaign spent $850,000 in polling, canvassing, staffing, mailers and print and broadcast advertisements before failing again. But wait a second, isn't marijuana already legal in Alaska? Yes and no. In 1975, the Alaska Supreme Court ruled in the landmark Ravin v. State court decision that Alaskans' right to privacy protects the possession of small amounts of marijuana in the home. In Alaska, that "home" part is an important distinction. While small amounts are legal in the home under the decision, it does not make transportation legal or possession anywhere else legal. That means having it in your car or on your person while in public is a big no-no. Also, medical marijuana (per a 1998 voter initiative) is legal in the state. As of September, 1,857 medical marijuana users were registered with the state of Alaska. 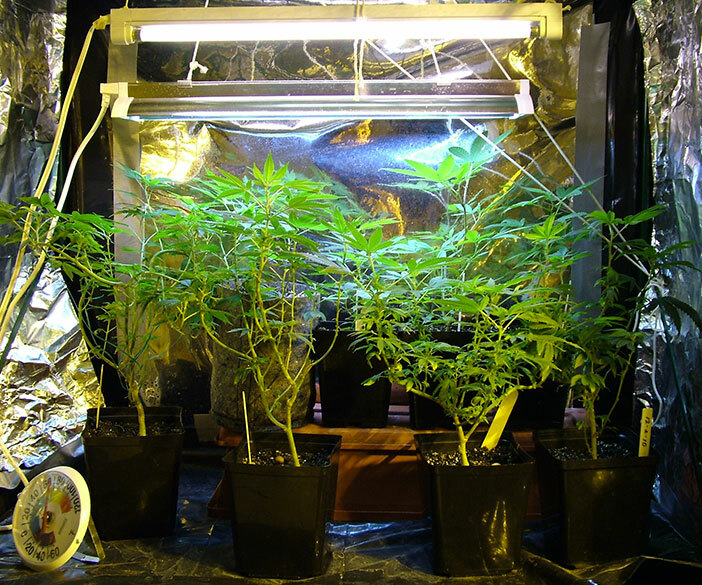 For those people (or their caregivers), it's legal to have up to six plants, three of which can be mature, and have up to 1 ounce of the drug in their possession. With no legal way to purchase marijuana in Alaska, the only way medical marijuana patients can acquire the drug is by growing it themselves or by proxy. This is without a doubt one of the more complicated questions regarding the initiative and the drug's status in Alaska. Depending on how much marijuana is involved, people can be charged with crimes as minor as a misdemeanor or as serious as a felony. Marijuana arrests are often made in conjunction with other crimes -- traffic stops, outstanding arrest warrants or probation violations. It is especially difficult to determine exactly how many people are being arrested because of marijuana, since drug charges in the state do not easily outline which drugs people are arrested for. A report by the ACLU last June found that Alaska spent $8.46 million on enforcing marijuana possession in 2010, at least according to numbers provided by the FBI. Of course, with legalization cropping up around the country, much has changed since 2010. At the federal level, the Department of Justice asked prosecutors to not prosecute marijuana crimes in states where marijuana is legal, despite its ban at the federal level. The memo limits federal enforcement to eight priorities, including marijuana cases involving cartels, drug trafficking operations or those that sell to minors. It's worth noting that the language of the Alaska initiative only lays a basic framework for a regulatory system. A marijuana control board could be set up and housed under the state Alcoholic Beverage Control Board, an agency currently overseen by the state Department of Commerce, Community and Economic Development. Local communities can opt out of allowing marijuana sales -- similar to how alcohol is banned in certain places -- however, unlike alcohol, which can be completely banned, the Ravin decision would still allow for people to have small amounts in the home. Why is there a 'local option' for alcohol but not marijuana? How many Alaskans smoke marijuana? 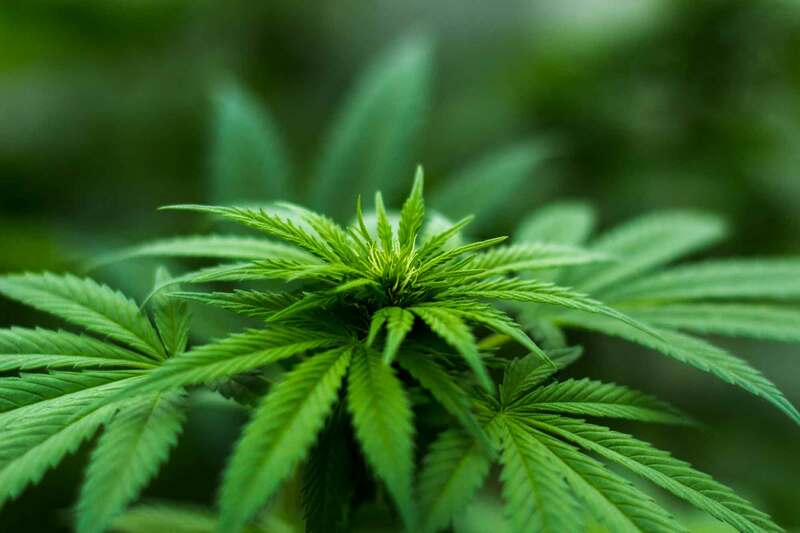 According to the National Survey on Drug Use and Health, which has been surveying American drug use since 1971, 18.72 percent of Alaskans had smoked marijuana within a year of being asked, based on a three-year estimate from 2010 to 2012. That's above the national average estimate of 11.69 percent. When those surveyed were asked if they had smoked marijuana in the past month the number dropped to an estimated 12.34 percent, compared to 7.01 nationally. A 2011 study from the same organization looked at the estimated number of people who had used marijuana in the prior year and found that 111,000 over the age of 12 had used the drug, with over 74,000 using it in the past month. Possibly, but it's worth noting that the initiative does not designate where the money will go, just that it would be added to the state's general fund; Alaska law prohibits citizens' initiatives from allocating money. It will take an act of the Alaska Legislature to decide where exactly the money will go. It's worth noting that even if the tax brings in "millions" of dollars, it won't make much of a dent in Alaska's $6.9 billion unrestricted general fund, of which oil and gas taxes make up the majority. The local group fighting for legalization, The Campaign to Regulate Marijuana like Alcohol in Alaska is chaired by Tim Hinterberger, a professor of developmental biology at the University of Alaska Anchorage and a longtime advocate for marijuana legalization in Alaska. The group's campaign manager, Chris Rempert, is a Marijuana Policy Project staffer. The biggest opposition group formed so far is Big Marijuana. Big Mistake. Vote No on 2. It's chaired by Alaska Native leader Mike Williams Jr., an Iditarod musher from Akiak and chief of the Yupiit Nation. Deborah Williams, a former head of the Alaska Democratic Party who now works in youth advocacy, is also one of the leaders of the effort. The group has lagged far behind the pro-legalization campaign in terms of fundraising, with a little less than $42,000 in total donations this year, the largest being a $25,000 contribution from Chenega Corp. The campaign has found grass-roots support from Alaska Native leaders, law enforcement and Republican leaders. Don't most people support it? Summer polling shows Alaskans split on whether to legalize. Public Policy Polling data released in early August showed that of 673 voters polled, 44 percent were in favor of the initiative, 49 percent opposed and 8 percent unsure. Those numbers show a slight decrease in support since May, when PPP showed 48 percent in favor, 45 percent opposed, and 7 percent unsure. Isn't it illegal at the federal level? Indeed it is. This is one of the primary conflicts of the potential law and one that's being addressed in the other states that have legalized marijuana. One of the biggest challenges, at least in Colorado, has been with banking. Many banks have been unwilling to accept cash from legal marijuana businesses due to a fear of reprimand at the federal level. In Colorado, a separate banking business has emerged to try to deal with the issue, including creating credit unions that specifically cater to marijuana businesses. Meanwhile, legal businesses have been challenging the Internal Revenue Service for what they say are unfair penalties related to having cash-only businesses -- unfair since they can't have legal bank accounts. That appeal is currently working its way through the system. That's really hard to say. Alaska State Troopers have said they are strictly beholden to state laws and would enforce those first and foremost. Anchorage Police Chief Mark Mew said he has serious questions about the issue, noting that his officers are sworn to uphold local, state and federal law. Having it legal in one place but illegal at the higher level is a violation of their sworn oath, according to Mew, who oversees Alaska's largest police force. I heard that they're talking about changing something about 'drug scheduling.' What does that mean? Marijuana is considered a Schedule I drug, according to the Drug Enforcement Agency. That means the federal government includes it in the most dangerous class of drug along with heroin and ecstasy, with no accepted medical usage, a high potential for abuse and potentially severe psychological or physical dependence. After a citizen request to the Drug Enforcement Agency, the Food and Drug Administration is looking at an eight-part test (per the Controlled Substances Act) that could designate the drug as Schedule II, meaning it finds some medical value in the drug, though it would still be included in the same class as methamphetamine and cocaine. Ideally, proponents of legalization would like to have the drug completely "descheduled" -- taking it off the list completely. No matter what, don't expect any movement anytime soon. The last time marijuana was considered for rescheduling, in 2004, it took two years to complete the evaluation. In an example of how much state law already deviates from federal law, Alaska views marijuana as a schedule 6A drug, meaning it has the lowest possible level of potential harm.